William Byrd was born in 1844 in Marshall County, Mississippi. Soon after, he moved to Indian Territory with his parents. Byrd attended Chickasaw Academy near Tishomingo, Oklahoma. During this time, the Civil War started, and in 1864 Byrd was old enough to enlist. The war ended quickly after, and Byrd returned home to involve himself in the mercantile business. In 1875, Byrd moved to Stonewall, Oklahoma, now known as Frisco. He became a very successful businessman, dealing with a variety of people. As commerce ensued, he became interested in the political vitality of the tribe. After a few unsuccessful attempts running for governor of the Chickasaw tribe, Byrd was finally elected and took many issues to heart. A number of legislative actions were set in place under Byrd’s governorship. He was conscientious and resilient in pushing for independent status for the Indians. After his retirement from office, Byrd resumed his business affairs until 1898. He later rid himself of the store and focused only on his farm and cattle. 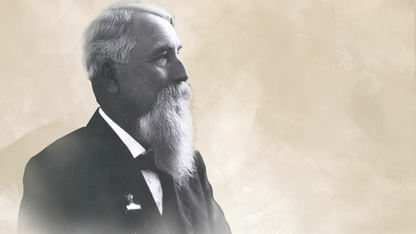 Byrd moved to Ada, Oklahoma, where he remained until his death in 1915.